The City of Florence’s Design Review Board has approved plans for a downtown apartment complex / parking deck combination. (See Morning News story and sketch, 3/12/15.) The structure will be on the former McLeod Infirmary site, next door to the brand-new Florence Museum building. There’s a lot of difference between what those blocks look like now and from when I was growing up… and from what they will look like a year from now. Not sure how I feel. Nostalgic? 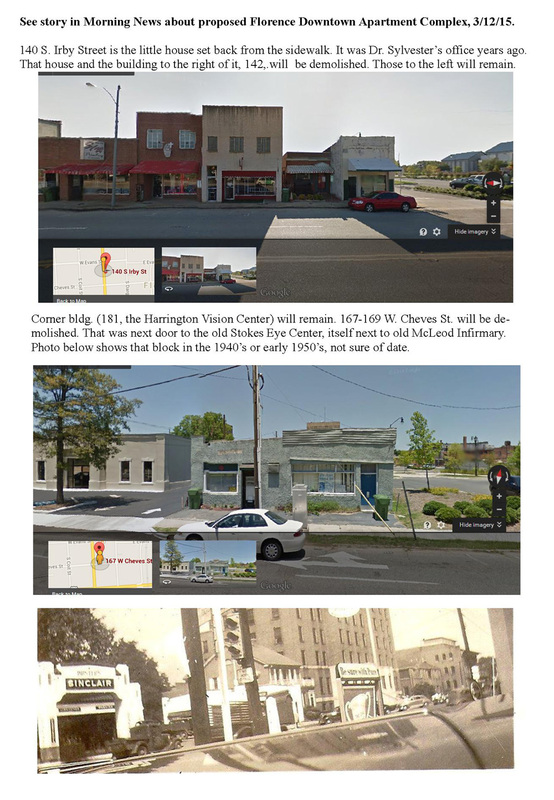 BB+M ARCHITECTURE The city’s Design Review Board approved the request for a Certificate of Appropriateness for the apartment complex and parking deck project Wednesday, March 11, 2015. 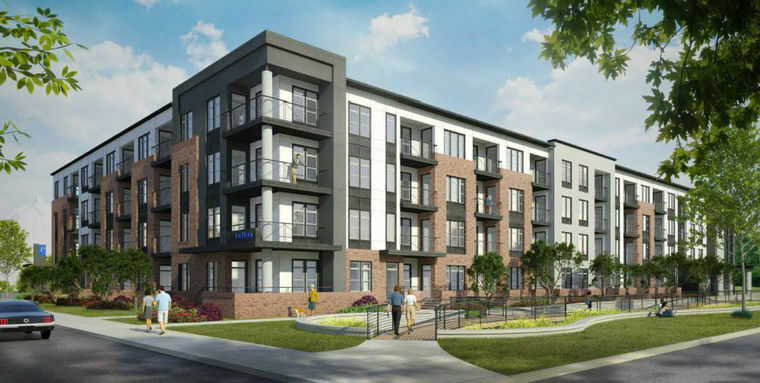 This rendering, seen from looking west on West Cheves Street to South Irby Street (back to the Florence County Museum) shows the four-story, 85-unit apartment complex that will break ground this spring. The apartments will cover a 320-space, city parking deck on three sides as well.